old sewing machine - The Little Maid. 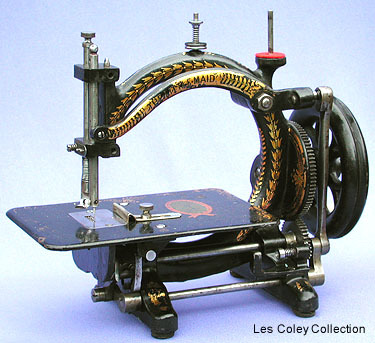 A pleasing lockstitch design, made by Hillman & Herbert at The Premier Works, Coventry, during the mid 1870s. This particular example carries the marque "Little Maid" and was retailed by The Remington Bell Company, London.